Kavalan’s Ex-Bourbon Oak is the Solist Ex-Bourbon expression (which is 58.2% alcohol), reduced down to 46% alcohol by volume with spring water. This whisky, as the name suggests, has matured in oak barrels that have previously held bourbon which means that you can expect a lot of American oak flavours in this whisky. The addition of water, as the below tasting notes suggest, seems to accentuate and tease out Kavalan’s distillery character and this is a theme to definitely look out for when tasting this whisky. Imagine the whiff of melting vanilla ice cream over a freshly made warm banana fritter, and layered with caramel and honey. The smell of crushed nuts and sharp acidic pineapple cuts through the sweetness, as the oak tannins nip at the nostrils and then slowly fade with each consecutive sniff. On the entry the whisky is not as sweet as the nose suggests, and the flavour profile bursts with oak spice and semi-dry tropical fruit – pineapple, longan and snake fruit come to mind. The wood bites at first, with the taste of black tea leaves, but the oak then dissolves into gushy wood vanillas and coconut; flavours which attest to the big impact of the American oak in this whisky. The bourbon is there with a sugary glow, sitting beneath the malt and American oak initially but then dimming towards the finish. The finish is warming with spice pricking the palate, dark chocolate, chili, banana and star fruit. Buy it, if you want to try a Taiwanese whisky with lots of exotic tropical fruit, oak spice and all the lovely wood vanillas and coconut flavours commonly associated with American oak. The Kavalan malt and distillery character shines through the layers of American oak influence, with its tropical fruit theme lifting the whole flavour profile of this whisky and re-inventing the “done to death” ex-bourbon malt whisky. This whisky is a job very well done by Kavalan. 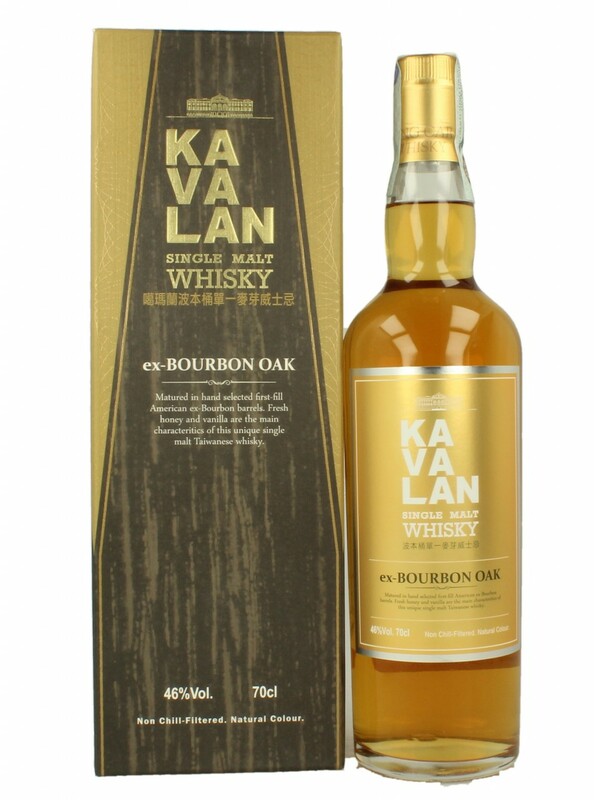 This entry was posted in Taiwanese whisky and tagged bourbon, Kavalan, oak, Taiwan, whisky. Bookmark the permalink.